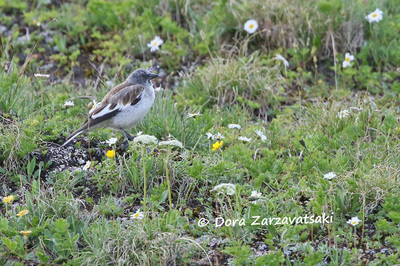 Summer time high up on the mountains! The snow has finally given place to a delicate carpet of purple, yellow and white flowers. The capricious wind carries songs of white-winged snowfinches. 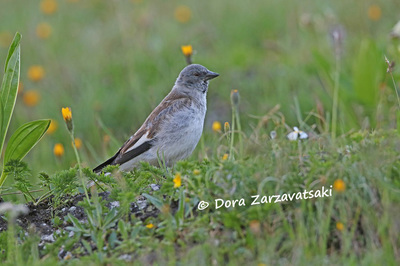 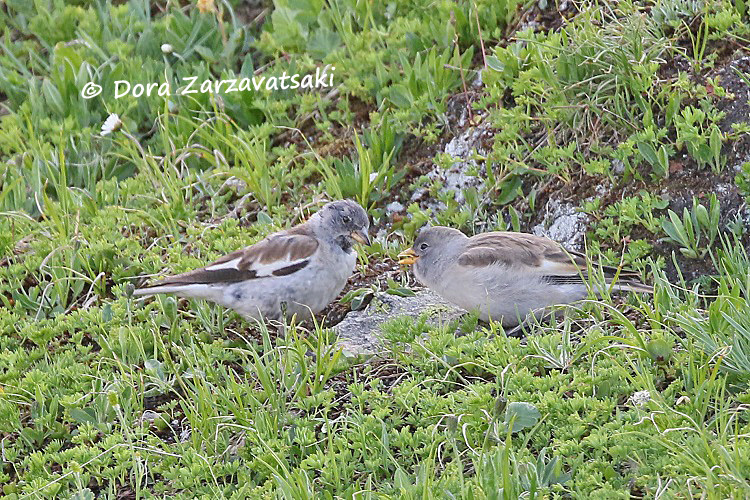 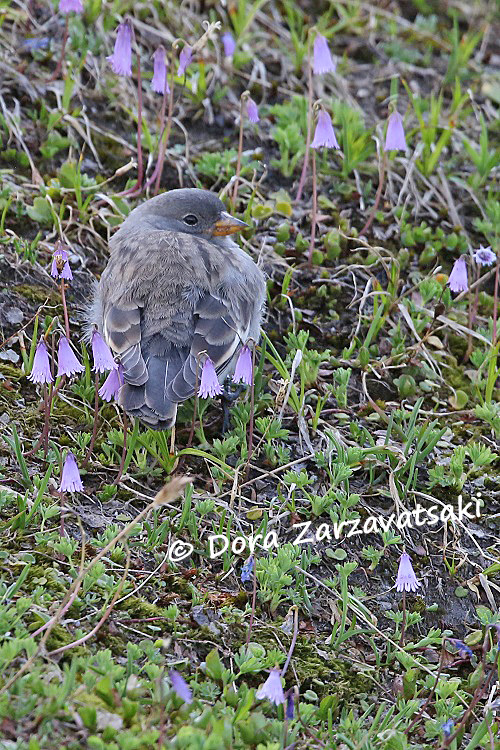 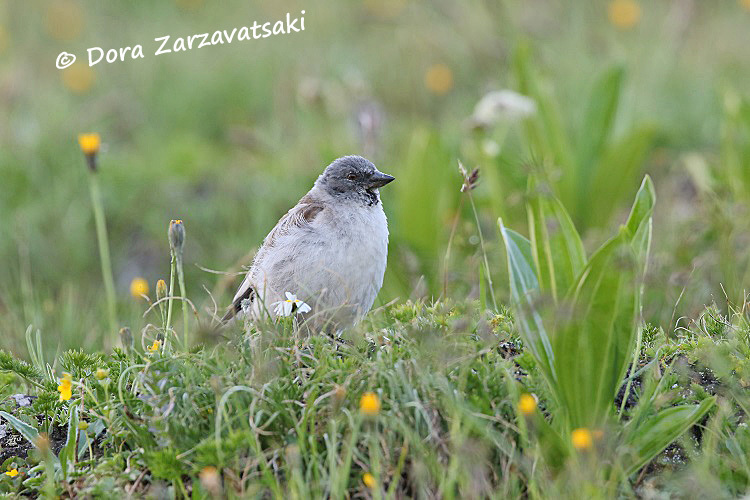 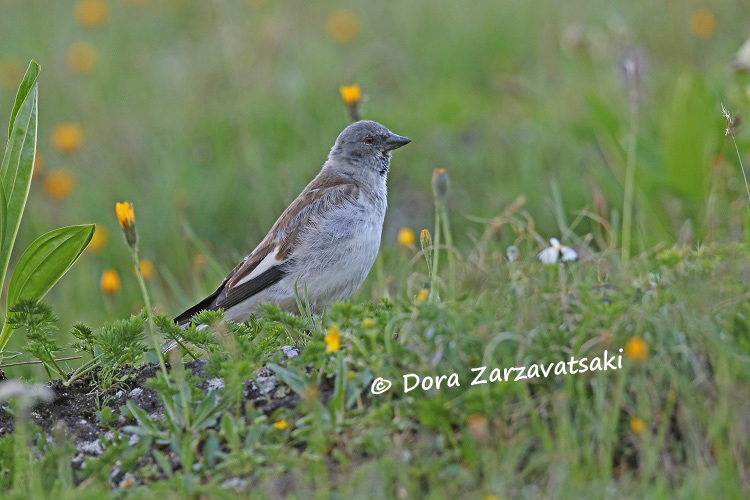 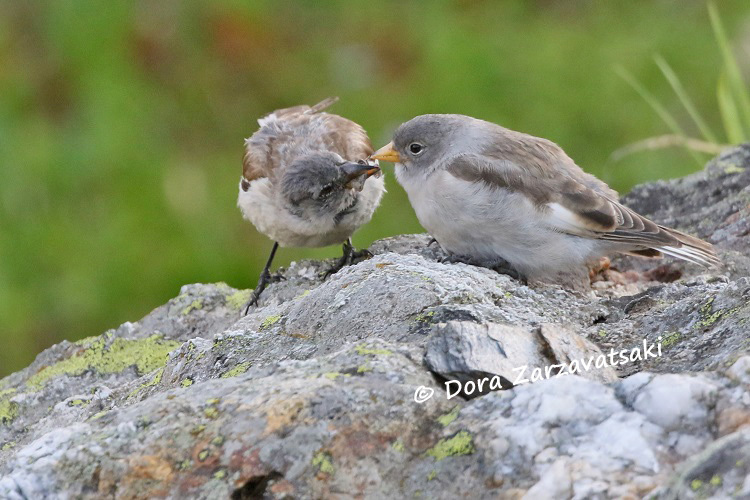 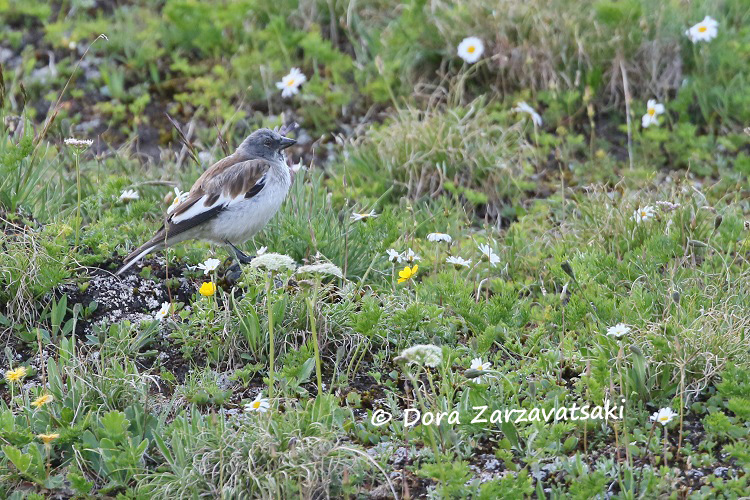 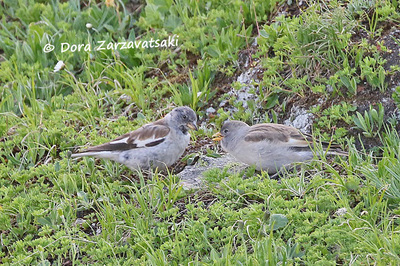 The young birds are resting in fields of alpine snowbells!